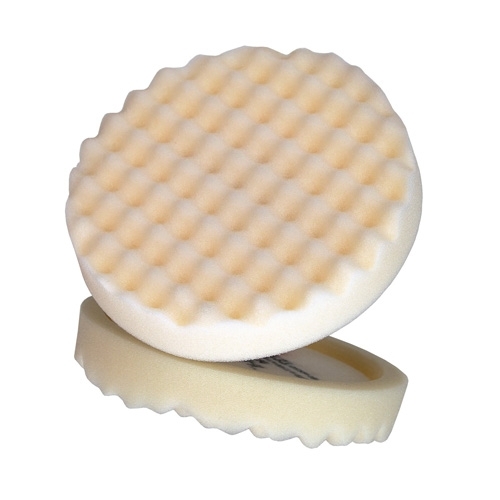 Foam polishing pad utilizing 3M's patented convoluted foam face. New reduced diameter loop attachment backing for added edge protection. Fits all standard 5/8 inch shaft slow-speed polishers. Attaches to either 3M Hookit Backup Pad - PN05717, or 3M Perfect-It Backup Pad - PN05718.